The post-Wimbledon clay swing continues in Gstaad, Switzerland with an ATP 250 event, hosting 6 of the world’s top 50 players. 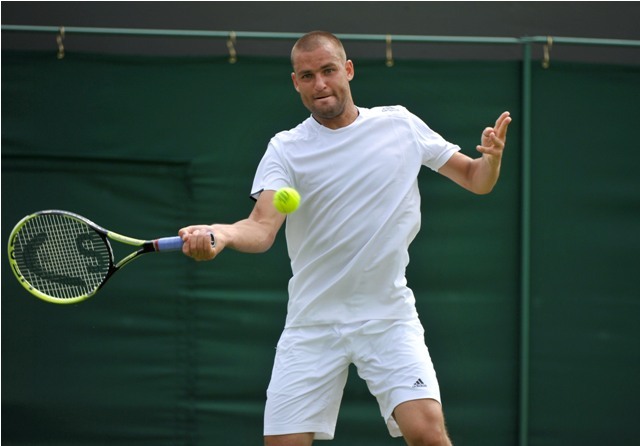 Last year’s champion Mikhail Youzhny defends his title as top seed while neither of the top two Swiss players will be taking part in the tournament. The Russian will play either Filippo Volandri or Kenny de Schepper in round two thanks to the byes afforded to the top 4 seeds in the draw. Volandri is usually a fairly dominant force on the Challenger Tour but has gone just 7-7 this year while winning just one match on the main tour too. de Schepper only has 2 wins himself, with one coming by retirement. Robin Haase was the losing finalist last year but a potential rematch will have to come in the quarter finals if both players make it that far. Haase, on the receiving end of a thrashing from talented prospect Alexander Zverev in Hamburg last week, will hope to bounce back against Oleksandr Nedovyesov. The Kazakh won their only main draw encounter in Casablanca earlier in the year but has very few other good results this year. Gianni Mina plays his first tour match since the 2010 French Open after qualifying with a win over Christian Garin. Mina faces Swiss wildcard Henri Laaksonen who lost his only tour match this year last week in Stuttgart. Guillermo Garcia-Lopez exited in round one last week but his loss to Leonardo Mayer doesn’t look as bad as first thought after the Argentinian took home the Hamburg 500 title. 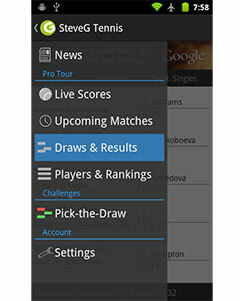 He will play either Victor Hanescu or Juan Monaco in his opener. Monaco needs a good tournament and fast given that he will fall outside the top 100 with a first round loss. Dustin Brown‘s up and down form continued in Hamburg where he defeated Fernando Verdasco only to win just three games in the next round against Pablo Andujar. 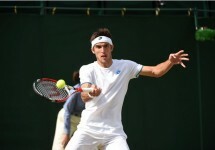 He plays Federico Delbonis, who suffered a rankings hit after failing to defend his final points from Hamburg. Gerard Melzer qualified and is rewarded with a tie against Thomaz Bellucci. Bellucci suffered three consecutive second round Challenger defeats before making the Hamburg draw as a lucky loser. While the other two wildcards went to Swiss players, the third has been quite a controversial choice. Viktor Troicki makes his return from a ban for anti doping violations. Many question the wisdom of rewarding such a player while others see that the Serb has paid his dues and should be treated like any other player. Either way, a match against Dominic Thiem is far from an easy reintroduction onto the tour. Inigo Cervantes continues his return from long term injury with another qualifying run where he plays Andrey Golubev in their third meeting but first on the main tour. Fernando Verdasco is one of three Spanish seeds and also gets a bye before facing Jan-Lennard Struff or Andreas Haider Maurer. The latter had a bizarre collapse in his loss to Adam Pavlasek in Poznan, simply chucking away the last game with a series of double faults. Marcel Granollers rounds off the seeds who get byes and will likely face another Spaniard unless Swiss wildcard Yann Marti pulls off a shock victory against Daniel Gimeno-Traver. Marti did defeat Laaksonen in an all-Swiss affair in Stuttgart but has few other wins at this level. Blaz Rola plays qualifier Fabiano de Paula while Gilles Simon is the final seed. He lost his first match after Wimbledon to Philipp Kohlschreiber but not before receiving a second round walkover.